The classification was invented by Herbert Putnam in 1897, just before he assumed the librarianship of Congress. With advice from Charles Ammi Cutter, it was influenced by his Cutter Expansive Classification, the Dewey Decimal System, and the Putnam Classification System (developed while Putnam was head librarian at the Minneapolis Public Library). It was designed specifically for the purposes and collection of the Library of Congress to replace the fixed location system developed by Thomas Jefferson. By the time Putnam departed from his post in 1939, all the classes except K (Law) and parts of B (Philosophy and Religion) were well developed. LCC has been criticized for lacking a sound theoretical basis; many of the classification decisions were driven by the practical needs of that library rather than epistemological considerations. Although it divides subjects into broad categories, it is essentially enumerative in nature. 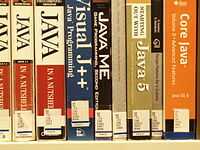 That is, it provides a guide to the books actually in one library's collections, not a classification of the world. In 2007 The Wall Street Journal reported that in the countries it surveyed most public libraries and small academic libraries used the older Dewey Decimal Classification system. 1.4 Class D – World History and History of Europe, Asia, Africa, Australia, New Zealand, etc. D World History and History of Europe, Asia, Africa, Australia, New Zealand, etc..
Subclass BP – Islam. Bahaism. Theosophy, etc. Class D – World History and History of Europe, Asia, Africa, Australia, New Zealand, etc. Class E does not have any subclasses. Subclass HS – Societies: secret, benevolent, etc. Subclass TA – Engineering Civil engineering (General). ^ LCSH too is developed by the Library and assigns alphanumeric IDs. A closer look at this example shows refinements defined in 2004, 2007, and 2009. LCSH: Boarding schools. ^ "FT MEADE" and "Copy 1" are specific to the Library of Congress collection, where FT MEADE refers to a facility located at Fort George G. Meade. All libraries that use LCC assign call numbers that begin "PZ7.J684 Wj 1982" to their copies of the 1982 edition of this book. ^ a b Lavallee, Andrew (July 20, 2007). "Discord Over Dewey: A New Library in Arizona Fans a Heated Debate Over What Some Call the 'Googlization' of Libraries". Wall Street Journal. Retrieved May 25, 2013. Some 95% of U.S. public libraries use Dewey, and nearly all of the others, the OCLC says, use a closely related Library of Congress system. ^ Claire Kelley. "A library classification system that's older than the Dewey Decimal and Library of Congress models". ^ Andy Sturdevant. "Cracking the spine on Hennepin County Library's many hidden charms". MinnPost, 02/05/14. ^ Hickey, Doralyn J. (1969). "The Library Quarterly: Information, Community, Policy". The Library Quarterly: Information, Community, Policy. 39 (3): 294–296. JSTOR 4306016. ^ Taylor, A. G., & Joudrey, D.N. (2009). The organization of information. 3rd ed. Englewood: Libraries Unlimited. ^ Chan, L. M.(2007). Cataloguing and classification: An introduction. 3rd ed. Scarecrow Press. ^ National Library of Canada. "Class FC: a classification for Canadian history" (PDF). PDF publication. National Library of Canada. Retrieved May 21, 2018. ^ Rutherford, D. "Canadian History Call Numbers". Queens University Library. Retrieved May 21, 2018.